A small piece of planet in the heart of Belgrade. Story about 7th edition of World Music Festival "Todo Mundo" that was held in Belgrade, from August 30th till September 2nd 2018. While some were unpacking after returning from summer vacation, and the others were buying school supplies for their children on the eve of a new school year, there were those who decided not to miss the enjoyment of listening and possibly dancing to the live world beat in two prestigious venues in the city center. 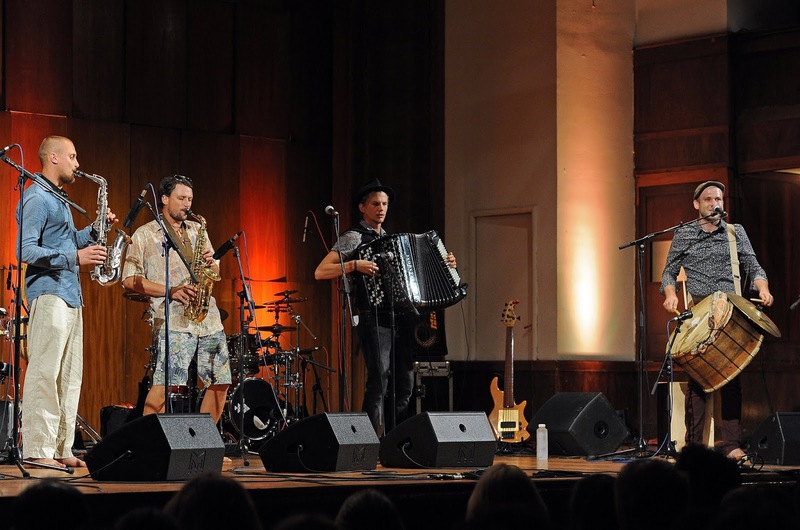 World music never awakened a huge interest in Belgrade, nor in Serbia. Since the end of 90s people have usually been interested in pleasant arrangements of Serbian and Balkan traditional music, while local brass orchestras, that held numerous concerts worldwide, were considered as something that belongs almost exclusively to "The Guča Trumpet Festival" or to the weekend customs of wedding and baptising in front of the churches. The only world music fever, caused by "insects" of foreign origin, was associated with "Buena Vista Social Club" and the only artists who are able quite often to fill bigger halls in the capital of Serbia probably are main starts of fado or flamenco. This year's "Todo Mundo" had no fado and no flamenco, but yet was marked by an excellent atmosphere. 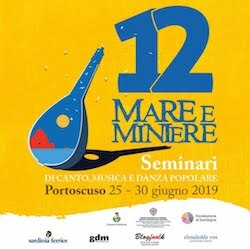 It's obvious that the festival, from its beginnings in 2012, has been slowly forming the core of the fans of good, interesting, different, "strange" music that comes from all over the world. The opening of the festival took place at "Ilija M. Kolarac Endowment" well known as "Kolarac". This is a venue of great reputation and for the residents of Belgrade it is almost symbolically connected with classical music. 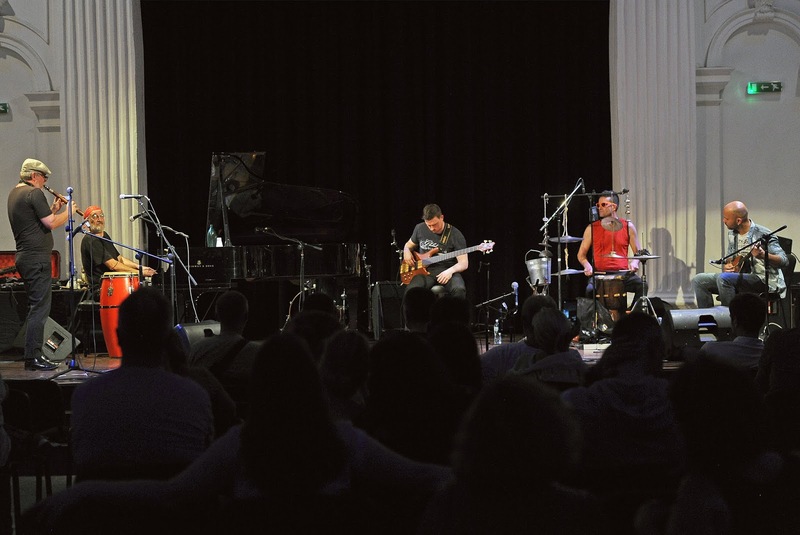 Because of its decades-old appreciation, "Kolarac" has his own audience that is very loyal, as it seems, regardless of what kind of concert it is – a phenomenon that was certainly useful for "Todo Mundo". The fact is that most of "Kolarac"-aficionados are older people. But it's not the only reason why the audience was mostly middle-aged and older that evening. The other reason lies in repertoire's backbone of the evening's headliners. Namely, the group Divanhana that comes from Sarajevo (Bosnia) is deeply dedicated to ''sevdalinka''/"sevdah" – song/genre that was extremely popular in former Yugoslavia. It was the time when ''sevdalinka'' was part of local scene and not the kind of still nonexistent ''world music''. No matter Divanhana consists of musicians of younger generations, their audience is, at least in Belgrade, not really young. Anyway, the festival's first evening started with the Hungarian band Csángálló, completely unknown to the Belgrade music lovers. These guys presented specific style of combining old and new, local and global, Hungarian and Balkan, traditional tunes, musical quotation, own compositions... We could enjoy the powerful interweaving of above all two saxophones, accordion and drum, revealing the unique beauty of the playing that does not strive for excellence. This raw playing style was enhanced with the occasional similar vocal contribution of the percussionist Bősze Tamás. During the concert it was obvious that the audience was divided into excited and those who experienced a negative shock and who had become too impatient to relax ears and soul with Divanhana and familiar Bosnian as well as Serbian and Roma hits like "Oj, Safete, Sajo, Sarajlijo", "Ciganka sam mala", "Kafu mi draga ispeci"... 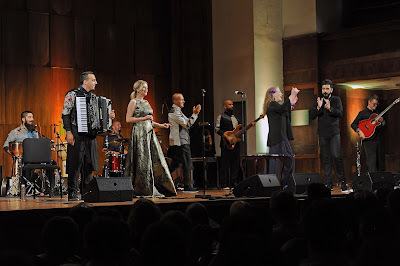 The concert was a promotion of new project and album "Kardeş" with Turkish singer Suzan Kardeş (and with her clarinet player Yunus Emre Ellek) so we were enriched for the experience of listening also to a few Turkish traditionals arranged in a typically fresh, colorful manner of Divanhana. The enrichment also came from the beautiful cooperation of Suzan and much younger Divanhana's singer Naida Čatić who both mixed Bosnian and Turkish languages. At he end of a show we had audience on their feet, with songs on their lips. 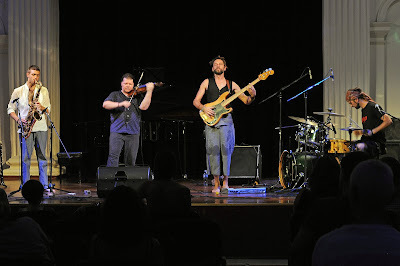 On Friday, the festival moved to the other location – "Student Cultural Center", shorter "SKC", to listen to the Austrian trio Golnar & Mahan and Belgrade four-piece group Naked, whose career grows through the planetary frame. It was the musical path that started in soft, gentle, sophisticated expression of Iranian-born Golnar Shahyar and her colleagues with the similar artistic approach – Mahan Mirarab (guitar) and Amir Wahba (drums/percussion). Golnar, who was also playing guitar and piano, thrilled us with her versatile vocal that mixes various techniques catching the field of pop music, opera, Orient... Trio produced a juicy, irresistible sound, leading sometimes to the fusion-breaking phrases but more often to the very carefully designed, catchy compositions mostly from their latest album "Derakht". 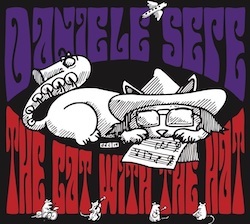 Very pleasant musical journey with three guides from the Viennese scene continued to a more energetic mood of Naked, but still on the track of jazz-world melting. 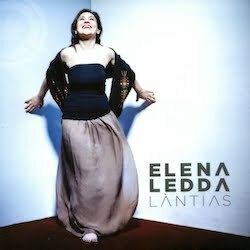 They make strong, intense urban sound with intelligently exploited elements of Balkan music. We had the opportunity to get to know the attractiveness of the new album "Yes" live, that is based in compactness of bass and drums, and complexity of violin and saxophone/clarinet weaving. Naked were so powerful and well-coordinated on the stage, convincingly rounding up the second festival night. Before Belgrade veterans named Institutе started their gig at "SKC" on Saturday, band's spiritus movens, multiinstrumentalist Veljko Nikolić aka Papa Nik was awarded the World Music Association of Serbia's prize "Povelja sa statuetom Vojin Mališa Draškoci" named after famous Serbian double bass player and composer. Soon, we'll be left to 30 minutes-long free improvisation of Papa Nik and four other members of Institutе. 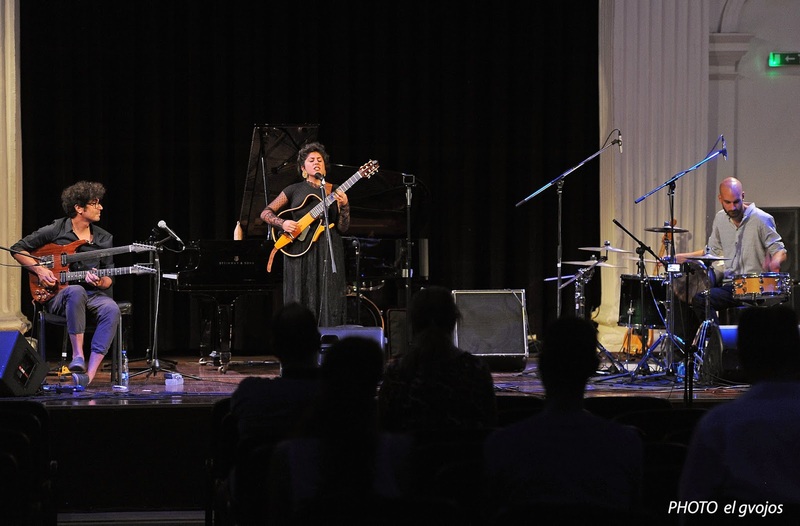 The flow of their jazzy music had several oases of a different flavor, by joining some African and Asian instruments and some quasi-Chinese vocal excursions. The sounds of these instruments and vocal expressions led us naturally to the next concert. 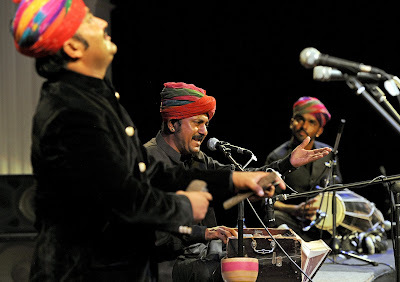 Fantastic trio Barmer Boys from Barmer district in Rajasthan, State of India, presented an exciting mix of dholak, harmonium and several small-sized instruments like morchang and khartaal. The artistry of Rais Khan's playing on these instruments, especially on khartaal, knocked me off my feet. Who would believe that there is such a spectrum of expressive possibilities? And even more than that – who would believe that Rais Khan's beatboxing may sound so consistent with the old tradition? For the end of the four-day festival, organizers offered a supreme party at "SKC". 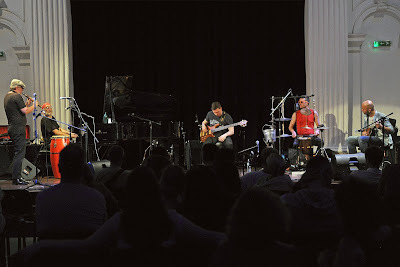 First, we were entertained by lively arrangements, compositions and singing of Cyprus trio Monsieur Doumani. Band's funny name, cheerful musicians, vivid combination of tsouras, guitar and trombone/flute, leave the impression of a perfect recipe for building great success on world music scene worldwide. Guys from Cyprus put emphasis on the latest CD "Angathin" that received great reviews this year. Just a few few minutes after Monsieur Doumani's show, wide smiling audience suddenly turned into dancing and jumping crowd. King Ayisoba appeared on the stage and raised the level of adrenaline to the highest point. Leading representative of "kologo" genre from Ghana, and his four half-naked or masked colleagues produced tremendous energy with their potent singing and screaming as well as playing on kologo, different sorts of drums and one tube which name is unknown to me. 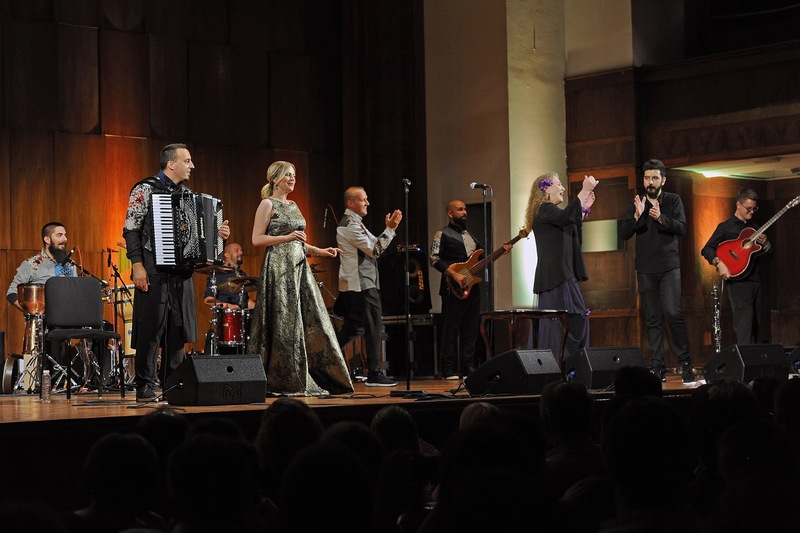 An ecstatic, ritual-like ending of "Todo Mundo"'s 7th edition, the whole marked by diversity and actuality, boosts hope that the mission of spreading world music culture among the citizens of Belgrade and Serbia makes sense.